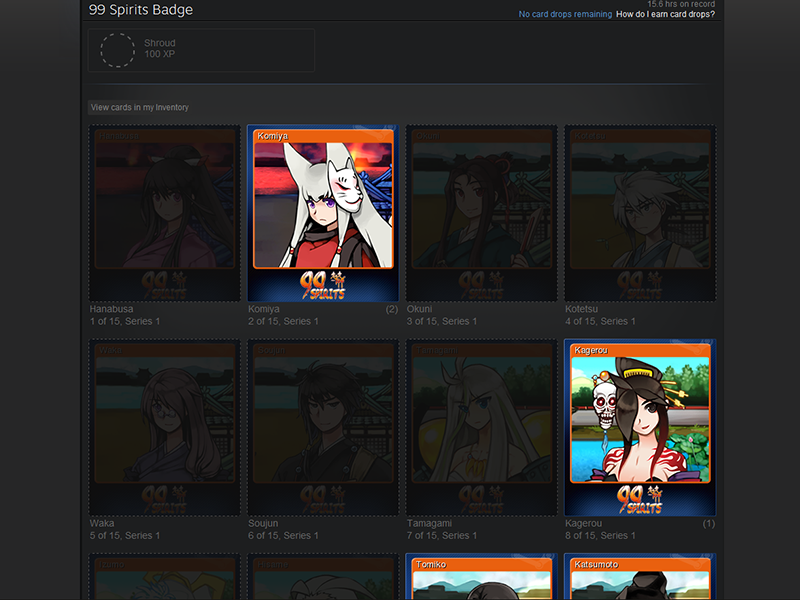 99 Spirits is now available on Steam, with full Steam functionality. We’ve added 49 Achievements to the game, as well as Stats, Cloud Saves and Leaderboards – and of course, Steam Trading Cards. We’re already really happy to see lots of activity in the 99 Spirits Community Hub. 99 Spirits is available in two editions – regular game, and Steam Special Edition, which comes with 76 page digital Artbook, as well as the Music Collection. Purchasing either edition also gives you Tsukumogami, the original Japanese version of the game. Tsukumogami is added as a separate item to your Steam library. Work is currently ongoing to add Steam achievements to Tsukumogami as well. The Artbook & Music Collection is also available as a separate DLC – if you’ve gotten your Steam key from another source, this is a great way to upgrade your game to the Steam Special Edition. Steam Winter Sale just started! While the sale lasts, you can get 99 Spirits for -15%, the Artbook & Music Collection DLC for -20%, or the Steam Special Edition for -25%! Don’t miss out!